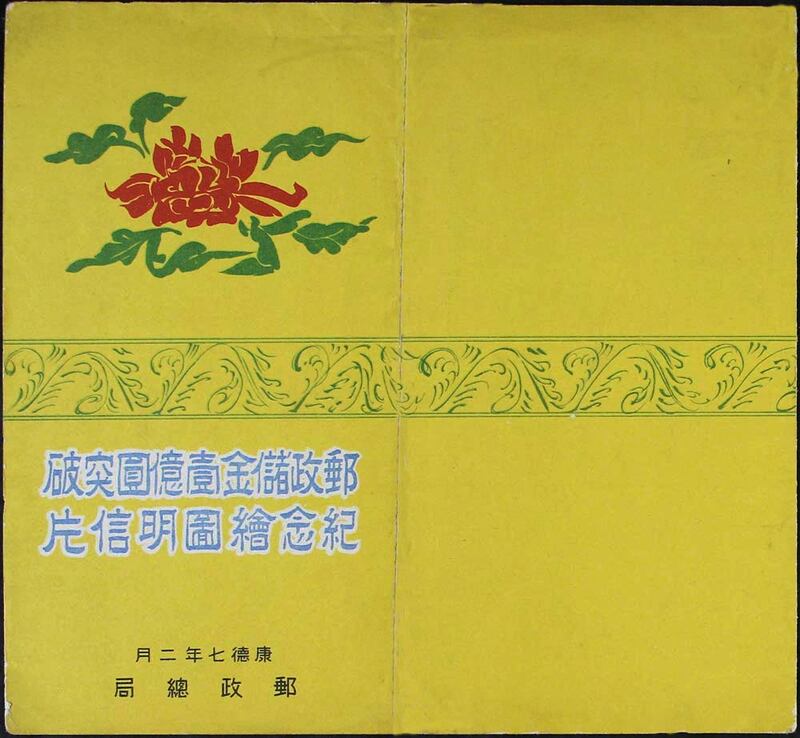 1940 Postal Savings Exceed 100,000,000 Yuan. 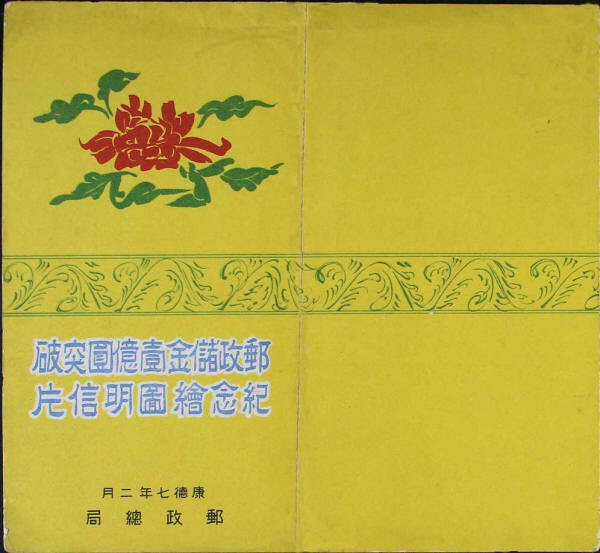 Issued on 21st February 1940 this is the an official set of five cards with three different images issued to commemorate postal savings exceeding 100,000,000 Yuan. No stamp appeared to acknowledge this achievement although a special cancel was used by post offices on this date - see Zirkle 47. An important postal conference also took place at this time. Folder - this contained 5 cards. 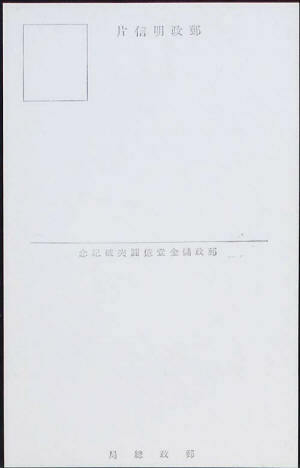 Card 1. 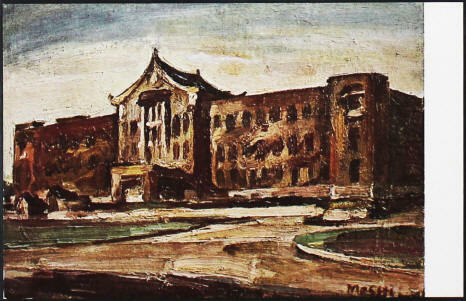 (2 copies supplied) - This card features an oil painting showing an impressionist view of what is probably the General Post Office Building, Hsinking. Card 2. (2 copies supplied) - This depicts an oil painting of red and white peonies in a blue vase against a gold background. 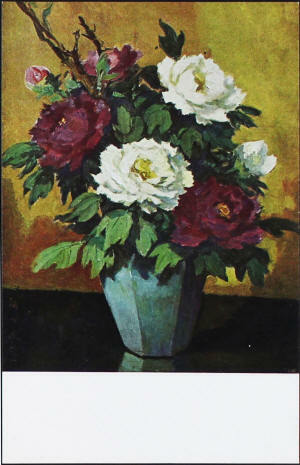 The peony is a symbol of nobility, good fortune and value. Card 3. 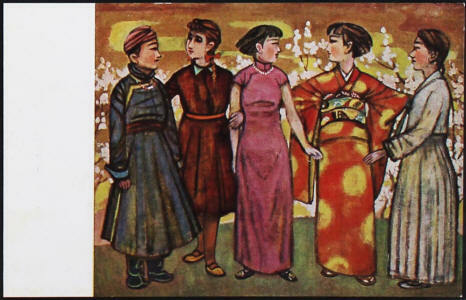 (1 copy supplied) - This is another painting showing women of the five races in Manchuria. 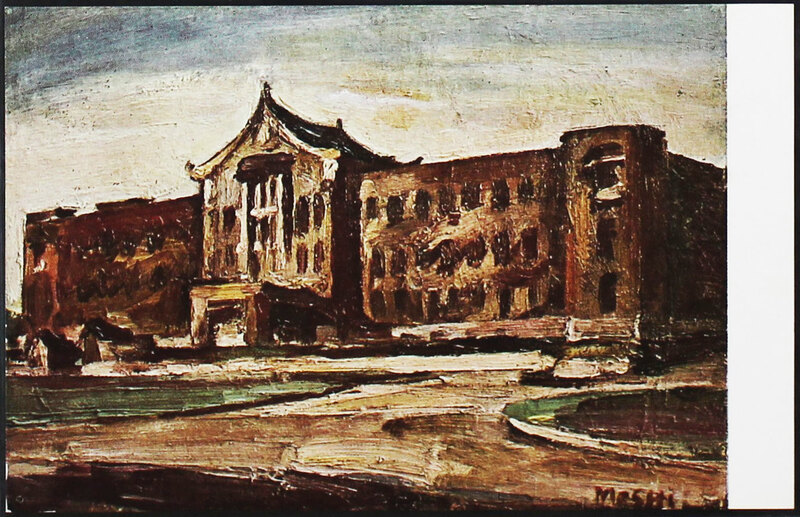 The figures on are based upon a painting commissioned for the National Ministry Building, called "National Harmony" by Japanese artist Saburōsuke Okada. The five races represented are, Manchu, Chinese, Korean, Mongol and Japanese. 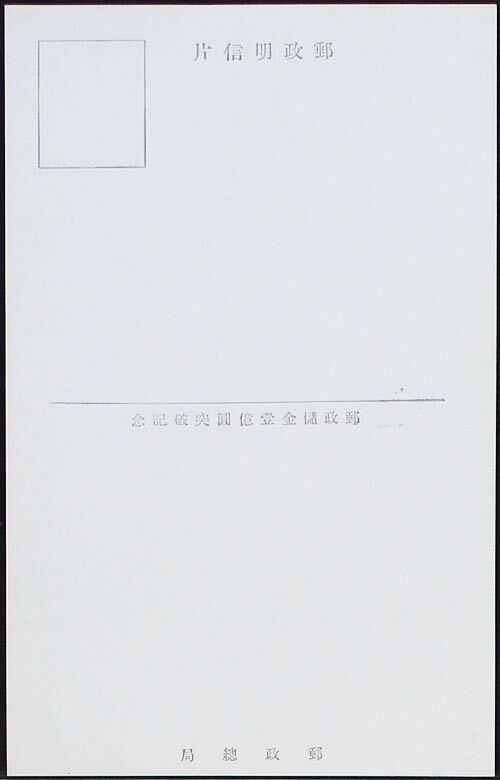 In 1942 a similar design appeared on a set of stamps commemorating the 10th Anniversary of the Founding of Manchukuo, this postcard is clearly a forerunner of this.